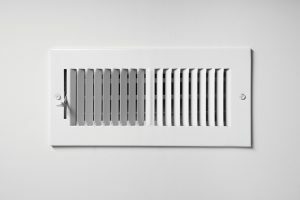 Some problems with a central AC unit are easy to recognize: a banging, misaligned fan, cooling coils which suddenly quit working, or a compressor unexpectedly making loud noises. One problem which can happen behind the scenes but be equally damaging is a low refrigerant level. AC units shouldn’t ever need refrigerant added, so at the very least, low refrigerant levels indicate a leak of some sort in addition to the possibility of secondary problems. We’ll discuss below how this issue can affect an air conditioning system. Air quality in the home is just as important as it is easy to forget—air is invisible, after all, and it’s not something homeowners often think about. They vacuum the floors when they see dirt and they wipe off the counters when they see dust. But why don’t they focus on scrubbing the air with air purifiers with the same intensity? Here is a startling fact: out of every 10 people, 5 are breathing air that would be given a grade of “F” when rated. It’s no wonder 26 million people a year suffer from some hay fever and other respiratory problems—the air people breathe is stale, full of pollutants, and in need of a good spring cleaning.